Day use hotel platform DayBreakHotels helped their London hotels earn additional revenue totalling £4.5million in the last year, according to their latest figures. The startup, founded in Rome in 2014, allows hotels to drive additional revenue from space that would otherwise lay dormant - by making empty rooms available for day-only bookings. DayBreakHotels are currently partnered with 150 hotels in London. London hotels in the DayBreakHotels network earnt an additional £33,000 on average over the last twelve months. The site allows guests to book rooms and other facilities - such as gyms, spas and meeting rooms - for six to eight hours during the day, at a lower price compared to the nightly cost. The platform has seen a 25% uplift in day use room bookings in London each month since March 2018. This option offers flexibility to locals and tourists who may wish to make use of a nearby hotel’s amenities, without the cost and commitment of an overnight stay. Day use rooms also attract leisure travellers, as well as business travellers who wish to use a room as a practical place to rest mid-transit. Business travel makes up 40% of the platform’s market. DayBreakHotels aim to make hotel facilities more accessible for all, whilst helping hotels stay busy during quiet periods. In some cities worldwide, the incursion of Airbnb has resulted in a 1.5% loss in hotel revenue and a 1.3% decrease in hotel nights booked, meaning solutions like these that boost bookings, boost revenue and fill rooms are crucial if the hotel industry is to prosper in the long term. DayBreakHotels are offering hotels a reliable ancillary revenue stream; and by making rooms and facilities available for day use, the platform also helps hotels increase footfall and boosts opportunities to introduce patrons to other facilities such as leisure centres and restaurants. “The current definition of a hotel – which is a place for travellers to sleep – is self-limiting. A hotel is a multi-layered offering and and there’s no reason why these services should be limited to those who need somewhere to sleep. “Hotels across the world have two key problems: poor utilisation of their facilities and empty rooms. 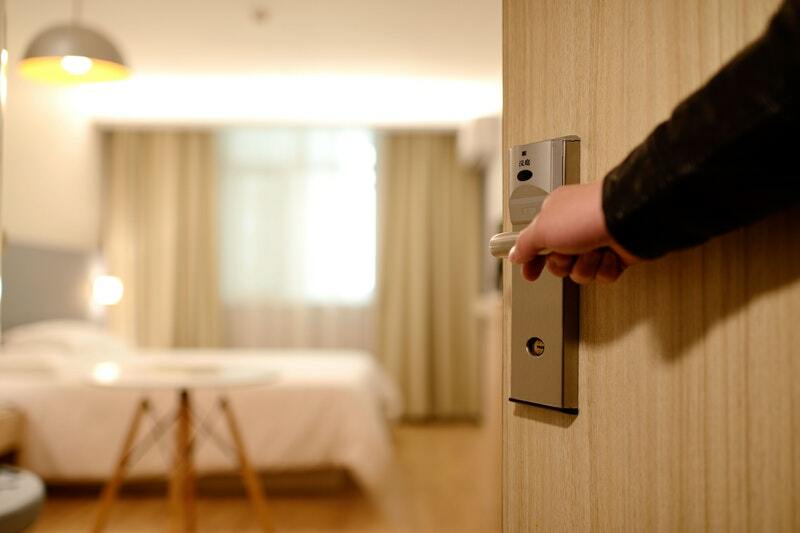 We're solving these issues by helping hoteliers get more out of their existing assets; by selling these rooms and distributing services, hotels can transform unused assets into a lucrative revenue stream. By introducing a day use option, hotels can gain entry into a new market, obtain incremental revenue from the sale of both day rooms and other services, which go directly to their profit line, and acquire new customers from outside of the traditional night hotel industry and gather more visibility. “Hotels can transform themselves into great temporary offices, with a day room to work, relax and freshen up, and use of the rest of the hotel facilities (restaurant, bar, meeting rooms, business centre) to meet customers and business partners. The platform is now operating in 15 countries with over 3500 hotels to choose from worldwide. DayBreakHotels currently operates in 7 cities across the UK.